SA&S – Partnership for Copyright & Society – is a partnership of Flemish (Belgium) organisations in the domain of culture, heritage, education and science. We collaborate on issues of copyright to strengthen our expertise and position, to the benefit of our users and in the interest of the public domain. We contracted a lawyer and expert in copyright law, Joris Deene, to support us in our goals. He has an excellent track record with regard to intellectual property and shares with all partners involved an interest in the rights of the user and in the public domain. He provides legal support and has a mandate to consult and negotiate with all important stakeholders. SA&S is a member of Copyright for Creativity (C4C). 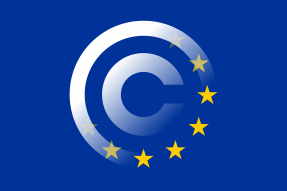 Together with C4C and other international partners we are actively involved in the current copyright reform of the European Commission, which is now high on the agenda. We invite you to contact us if you want more information about SA&S. SA&S published its comments on the Proposal for a Directive on copyright in the Digital Single Market and expresses its concerns. The European Commission promised to modernise copyright, but instead of creating a well-functioning legal framework addressing the concerns of creators and end-users it proposes to protect old business models by creating what it claims to be a ‘well-functioning marketplace’.